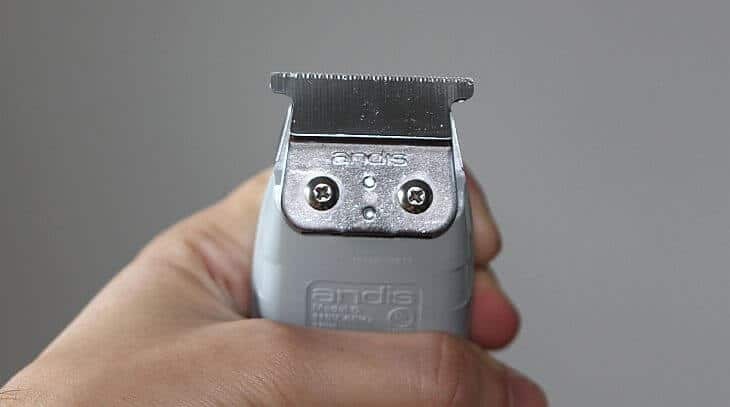 Andis T-Outliner Trimmer Review: Is it Worth It? If you go around a few barbershops in your neighborhood, chances are you’ll see a few Andis T-Outliner hair trimmers there. A medium budget take on what a trimmer for men should be, this seemingly unpretentious machine might surprise you with its potential. Don’t think of the T Outliner as a pure barber trimmer only, though. It’s a perfect choice for any casual user, too. So without spending too much on an introduction, let’s see what this T-blade hair trimmer offers you. Preface: I’ll also do an Andis T-Outliner Trimmer review vs Andis Outliner 2 comparison as a lot of people wanted to know more. So here we have it, the trademark trimmer of Andis. Does it live up to the hype? What exactly does it feel like? Let’s begin this Andis T-Outliner trimmer review by taking a look at Andis T Outliner’s body. As you can see, we have a grey, hard plastic casing with an attractive switch on the lower part of the body. While there definitely are sturdier models than the T Outliner, it scores above average in this regard. At 5.5″ and 0.70 lbs, it’s a standard-sized trimmer. The model is ergonomic enough to guarantee you a stable, comfortable grip when you start working with the sharp Andis T blade. The T Outliner is for corded use only, coming with a 8-feet long cord. That’s just enough coverage to allow you mobility, no matter if you’re a casual user or a barber. Note: in most cases, you won’t receive any guards with the hair trimmer! The one thing about the design that I really don’t like is the power button. I love one handed operation of my tools and the fact that I have to use two hands to twist the switch to turn it on and off is annoying. It is not a deal breaker, but I don’t understand why they haven’t upgraded that yet since their other trimmers all have a switch you can flick with one finger. Beneath the hard plastic case lies an oscillating electromagnetic motor, cutting at 7200 strokes per minute. A pretty good performance, this guarantees you fast trimming and more than enough power. Especially if you’re looking to do more extensive trims, you’ll find a solid, heavy-duty ready choice here. To ensure smoother hair cutting action, Andis tend strengthen their products’ blades with carbon. The T-blade of the T Outliner trimmer follows the same formula. Its carbon-steel blades are manufactured to be extra tough and work through high volumes of hair without pulling on it. They’re also quite sharp, so be careful not to sink their teeth too deep in your skin. The T shape of the blade helps to do some nice detail work and to get in those hard to reach areas. When you want to do some beard designs when trimming, you can use the ends of the blade to work it around, which is nice to have. I make sure all of the trimmers I get have that shape since I end up lost when they don’t. What can you use Andis T blade for? Andis T-Outliner hair trimmer is widely revered with a reason. You can use it for anything from outlines, to neckline cleanups, beard or mustache trimmings, edge ups…Combined with an Andis Master or another hair clipper for fades, it allows for artistic fades too. A very important benefit of the T-Outliner is how precise, close and gentle it cuts. If you are prone to bumps, red spots or even rashes, this is hands down one of the best hair trimmers for sensitive skin. As long as you are careful with the angle you trim yourself and don’t go overboard with the zero gap, of course. If you decide to use the T-Outliner with a T-blade for beard trimming, I advise you to throw preshave oil in the mix. It will allow for an even smoother, pleasure-filled experience. This Andis hair trimmer is also perfect for dry shaving, something other trimmers have some difficulties with. If you do opt to use pre shave oil, make sure you clean the blade well afterwards. Especially if you will be using these in a barbershop. The fine teeth will easily get gunked up by the oil and hair mixture. As you go, it will slow down to the point that it will have a hard time cutting, so you really need to stay up on this. Hair is quite acidic and will also dull your blade over time if you don’t make sure it is cleaned off. For those who’re looking for a balding clipper, you won’t find a complete solution with the T-Outliner. However, it will cut surprisingly close, so shorter buzz cuts are totally doable. No product is perfect and Andis T-Outliner definitely has some things you need to be aware of. 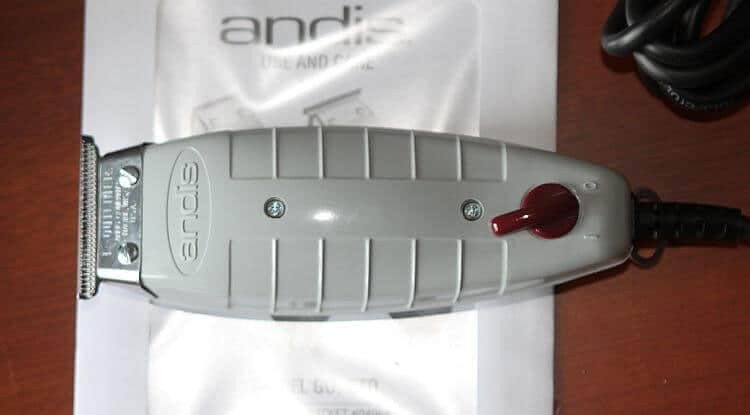 Our Andis T-Outliner trimmer review is here to help. First of all, it scores badly in terms of heating up. That’s a common issue with some of Andis barber clippers and trimmers. Some say it’s the byproduct of the high number of cutting strokes per minute, powered by the electromagnetic motor. In any case, expect overheating problems with the T-Outliner trimmer if you go for longer haircuts or trimmings. This can be easily solved, though. You can either rest a bit to let the blades/body cool off, or use blade wash like Andi’s own Blade care disinfectant on Amazon.com. I can’t give you an exact threshold, but around the 13-15 minute mark you will feel the T-blades heating up. If all you are using it for is to outline, then overheating is not likely to be much of an issue. It really only get shot if you are using it as an electric shaver and are shaving beard after beard with it. And it will definitely get hot if you use it to shave a head, which I do not recommend. You will very quickly find yourself buying a new blade for this trimmer if you are shaving heads with it. The second thing that might be a problem for some is the body design of the trimmer. The hard plastic is not an eye-catcher for sure. What might be frustrasting for you would be the on/off red switch on the lower part of the T-Outliner Andis trimmer. Compared to other models it’s a little bit unintuitive. As you can see, the Andis T Outliner 2 blade is square instead of keeping to a T-shape. It’s smaller, narrower than the standard T Outliner. The teeth are also a little larger. In other words, for trimming longer lines, the Outliner 2 wouldn’t work as great. However, it’s way better for dry shaves – the smaller blade equals easy maneuvering and less risk of nicking your skin. 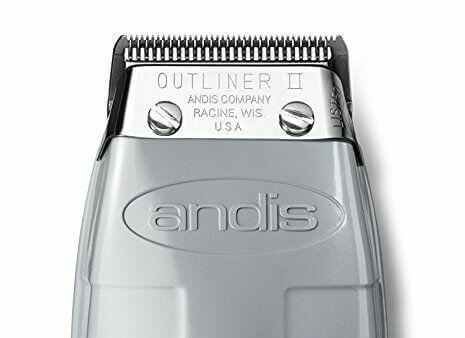 I’d recommend the Andis T Outliner II for rookies and people who would use it mainly for shaving/trimming on a dry skin. Aside from the blade size/shape, both trimmers are the same – in weight, size, 7200 SPM magnetic motor and overall performance. That said, I recommend you to give the Andis GTX T-Outliner a thought too. Especially if you’re looking for a fading trimmer, it’ll be a better choice. Just remember both models suffer from the infamous overheating issue and keep that in mind. But as I said, there’s no perfect product. For their price, both T-Outliner models are a great sidekick to your grooming routine. Trim happily! *If the button below doesn’t work, check out Andis T Outliner on Amazon.com here instead. I came across your site just a few weeks ago and I totally appreciate all the information I have found here! Haven’t looked back ever since I started giving myself my own haircut almost 10 years ago and looking at getting even better with more efficient clippers. Do you happen to have any experience with the Andis Superliner+ T-Outliner? The 220V classic T-outliner is almost impossible to get where I am at and I do not want to have to deal with the whole step-up/step-down. Would appreciate your help loads! That’s the spirit, the DIY way! Hmmm…personally neither me, nor Ryan have worked with the Superliner. I have heard some mixed stuff about it. Looking at its specs right now. 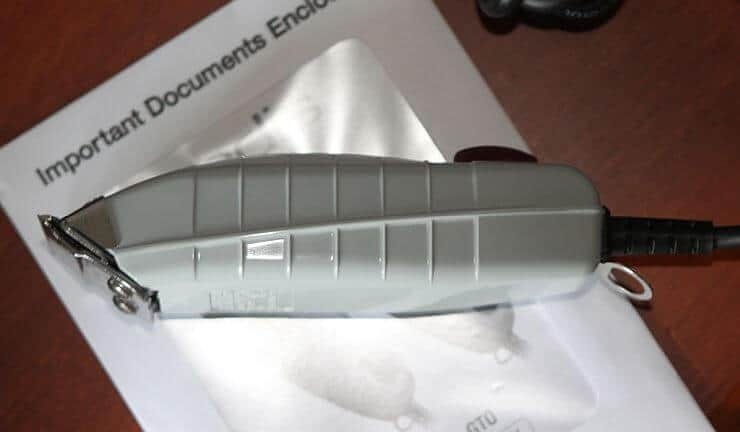 Looks like it has a T-Blade somewhat similar to the standard T Outliner. The biggest difference I see is the 5500 SPM motor. Quite weaker than the T Outliner, so if you’ll be going through more hair it might take a bit more time. At the same time though, the weaker motor might mean less overheating, I guess? As I pointed out in the review, the T Outliner is great, but it does have that overheating issue. Body seems polymer/hard plastic, so basically the same between the two models, in my opinion. I feel your struggle, man 🙁 We’ve got some European and Australian readers that opened my eyes re: how tricky the situation with clippers is there. Both Andis and Wahl. Let me know if you need anything else and sorry if I wasn’t that helpful! Also, happy holidays! Great site you’ve helped me turn into a good at home barber. So I noticed you said you can fade with a Andis GTX Outliner. This is true? Would you need a guard and is it easier to do opposed to using Andis Masters/Wahl Magic Clip (which I bought both because of your information lol). If so please drop a few tips because im still struggling blending perfectly. Also, do you think the Self Cut System is worth it? I noticed they have a LED lights which seem helpful but they don’t have it on the traveling variation (backwards if you ask me) since chances would be higher for low light traveling. Do you plan on reviewing in the future? It would be a great addition to the site.